Please note: This page will be removed from The Sarcastic Muse when my website is completed. The purpose of this page is to offer special rates to the muse community. PLEASE feel free to ask any and all questions! I currently have 20 hours available for pro bono clients. You may receive up to ten hours of individual coaching (by phone or internet) at no cost to you. The only requirements are that you treat these hours as if you paid for them and to answer a quick survey at the end to help me improve. 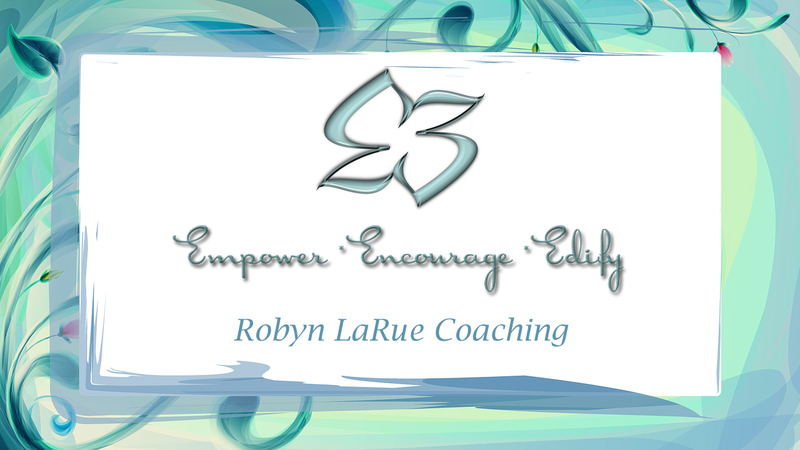 Contact me at robynlaruecoaching [at] gmail.com to let me know you are interested. Feel free to pass this information to friends or those you feel might benefit. TSM community members receive priority. This group is designed for creative people adjusting to or coping with the effects of chronic illness or pain and how it relates to our creative lives. Individually and as a group, we’ll dig into the ways we can move forward to a positive future. These groups are limited to no more than six people. We meet biweekly for 12 sessions. All sessions are conducted on line and last from 60-90 minutes. Topics are determined by the group, with focus on individual coaching goals. Check back often for the dates/times of newly forming groups or get on the waiting list for those listed below. To join a Chronic Illness Coaching Group, email me at robynlaruecoaching [at] gmail.com and indicate the group number you are interested in. We’ll arrange time for a quick chat to answer your questions and get you started. Cost: $45 per month, payable in advance: One payment of $243 (10% off) or two payments of $135 each. I’m working on a monthly payment plan—stay tuned. Group 3 meets every other Tuesday at 10 a.m. Central (USA), beginning June 6, 2017. Group 5 meets every other Thursday at 7 p.m. Central (USA), beginning June 8, 2017. Interested in a particular subject and have a couple friends? We will design your group coaching experience at a date/time that works for everyone. These coaching groups are limited to a maximum of six people and meet biweekly for 12 sessions. During the course of these sessions we address–both individually and as a group–issues surrounding and about maintaining a consistent creative practice. Check back often for new days/times or get on the waiting list for those listed below. Depending on the wait list, some groups may be made up of only writers or only visual artists, etc. To join a Creative Habits group, complete this short form and indicate which group number you are interested in. Group 2 meets every other Wednesday at 7 p.m. Central (USA), beginning June 7, 2017. Interested in forming a group with your friends? We’ll find a day/time that suits you. I am currently offering one-on-one coaching for $87 per hour. This rate is low for the industry, but as I am not quite finished with my certification requirements, I feel it’s more fair. Once those requirements are complete, my rates will rise commensurate with industry averages. Coaching is about YOU. You set the agenda, you decide your goals. Together, we work to help you meet them. Coaching does not have to be related to creativity. You decide what you need most in each session. I ask that you commit to a minimum of 8 sessions over three months. Research shows lasting changes require three to six months, and I want your coaching experience to bring you the best long term results. Coaching packages include discounts based on number of sessions. All sessions are one hour. You can use your sessions weekly or biweekly as it meets your needs. In special circumstances, we may decide to break your sessions into thirty minutes instead of one hour to either meet more often or extend the total length of time for coaching. For biweekly sessions, we’ll keep in touch via email or text between sessions. All clients are welcome to email me at any time. I will make every effort to respond by the following business day. Cost: $696.00 discounted to $660.00 if paid in full up front. Cost: $1044.00 discounted to $939.00 if paid in full up front. Cost: $1566.00 discounted to $1330.00 if paid in full up front. Welcome to Habit Builder 45! Are you struggling to get your creative practice off the ground or to write on a consistent basis? Are you frustrated you can’t seem to establish a new behavior you really want to make part of your life? You are 45 days away from new, healthier habits! (Your new habit does not need to be creativity-related). Habit Builder 45 is a coaching program designed to help your desired new habit to grow deep roots. Tips for managing yourself and your new habit. You will send an email to me every day after practicing your new habit and answer three very short questions. You will record on your journal calendar. You will find accountability, whether that’s personal, our private Facebook group, or other. Next Step: PM or email me (robynlaruecoaching [at] gmail.com to arrange time for a brief chat so I can answer your questions. Once you are ready to get going, I’ll send you an invoice and register you for the next Habit Builder Live Class (you don’t need to wait for the next class to get started). Any questions? Please ask them!